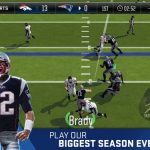 EA Sports’ Madden NFL Overdrive has been out for a couple of weeks now, and with the new NFL season having just started, this is one game you’ve probably downloaded in the spirit of things. Of course, EA Sports isn’t just known for console and PC games, but has a presence in the mobile scene as well, thanks to their companion apps for the NBA Live series. 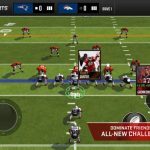 Likewise, Overdrive is a companion game of sorts to Madden NFL 19, and it comes packed with features unavailable in previous versions, but with many of the same basic mechanics remaining. Choose from any one of the NFL’s 32 teams (but don’t expect to get the same players as the ones on your chosen team’s real-life roster), and build your team up by opening packs to sign new players, hiring Captains and Coaches, and leveling them all up as you go along. And play in any one of several modes available in the game, including Overdrive (the main game mode — 1-on-1 matches against other human players), League, and a ton of special events! Last week, we provided you a Madden NFL Overdrive beginner’s guide that discussed some of the fundamentals, some of the basic things you need to keep in mind if you’re a first-time player. However, if you’ve gotten your feet wet quite a bit, this new Madden NFL Overdrive strategy guide could be what you’re looking for, as we’ve got nine tips designed mainly for intermediate players with about a few days’ worth of experience. You’ll need Training Points to improve your players, and while we did touch on this in the beginner’s guide, we need to stress this in here because it’s very important to have enough TPs so you can focus on your better players! The best way to earn more TPs is to go to the Marketplace, tap on Item Exchange, and scroll right so you can take your weaker players, drag them to the corresponding box on the upper left side, and sell them for TPs. Typically, your weaker, more common players will sell for only 20 TPs each, but those TPs can add up, especially if you consider all those new players you can receive from the packs you win and buy. However, as we’ll explain in the very next tip, you shouldn’t sell weak players willy-nilly — instead, you’ll need to look at their preferred schemes in some cases! Madden NFL Overdrive has four different schemes or playing styles, designated by a specific color and icon that appears on the center right of each player’s card. These include West Coast (purple), Smashmouth (green), Spread (orange), and Vertical (blue). Each of these schemes has their own set of Captains and Coaches, which, as we mentioned in the beginner’s guide, are unlocked by completing the Madden Academy events. Your choice of Captain or Coach will depend on the scheme you prefer — for example, if you like hard-hitting football with a lot of power rushing, you’ll likely want to go with a Smashmouth Captain or Coach, but if you’re more into the passing game, you would be best advised to try Vertical instead. Then again, it’s also a good idea to unlock whichever Captains or Coaches become available, as you won’t have any control over the preferred playing style your players have, unless you’re opening a Vertical, Smashmouth, West Coast, or Spread card pack — more on those later. That means you should make it a point to have enough players for each of the four schemes! Sure, it may be tempting to sell all your weakest players, or later on, anyone with a rating of 65 or less, but don’t do so at the expense of not having enough good players for each scheme. Remember that you can get a wide range of bonuses and boosts if you have a certain number of players on your lineup whose scheme matches that of your chosen Captain! As a bonus tip, there are some players who do not have a preferred scheme, and if there are weaker players who fit this billing, these are the ones you could sell for TPs. 3. Should You Bother With The Auctions? You can use the coins you earn in Madden NFL Overdrive to bid on players in the Auction feature, which is the third button under the Marketplace menu. But is it really worth it? Aside from selling your weaker players for TP, you can also auction them off with this feature, though we can argue that Auction is more useful if you’ve got some skilled players who aren’t getting any playing time because you’ve got a superstar-caliber player starting for you. For example, you may want to consider auctioning off a running back like Leonard Fournette, who has a base rating of 70, if you have someone else, say, Ezekiel Elliott, who has much better base stats, as well as a couple other RBs suited to other schemes who also have higher stats than Fournette. Always take a look at the open auctions and look for similarly rated players (preferably at the same position) so you’ll have an idea of the best starting bid and Buy Now Price values. As for buying players via Auction, it would all depend on your needs, and whether you’re getting a good value for your in-game currency. Always look at the Buy Now price and starting bids for the player you want and compare them to similar players listed in Auction. If you see a good deal, then go for it. But if you notice that a player appears to be overpriced in relation to his rating, you’ll obviously want to give it a hard pass and move on to another player whom you feel suits your team’s needs. We did mention it last time — you’ll likely be playing Madden NFL Overdrive’s titular mode more often than not. Important as it is to compete in the special events, Overdrive is where you get to compete against other humans, matching offensive strategies as the AI handles the defense. As you complete more matches, win or lose, you’ll be able to earn enough points for Overdrive packs, which typically come with various currencies and resources, as well as three mostly common players. You can earn one pack per 3,000 points, though the game will only allow you to open one pack every four hours. Moving up from one league to the next — that’s having enough fans required to make it to the next tier — will also allow you to open Ladder Packs, though these packs don’t come with any players inside. Instead, they mostly come with coins and XP, so if you’re looking for enough resources to buy players in auction (among other uses) and level up quickly, you’ll want to work toward moving from one tier to the next in Overdrive. In Madden NFL Overdrive’s most recent update, EA Sports promised that the game would become more responsive. Unfortunately, that increased the tendency of quarterbacks to dump their passes in an awkward angle, instead of getting them to the receiver you may have selected. In order to avoid this, we suggest pulling back on the joystick as you’re getting ready for the snap. This will allow your QB to move back a bit to set up his throw, and would also give you a chance to properly choose the desired receiver. Of course, you’ll still need to take care of the ball and make sure you’re not passing it to someone who’s being closely covered, and you’ll still need to watch out for the blitz. But otherwise, using the aforementioned trick should allow you to throw the ball like you want your quarterback to. Now here’s something you may have been wondering about, since you’ll see it appear at least once per Overdrive match — the word “Pressure” next to your team’s name. While they may appear random, they are actually dictated by the human players themselves whenever they choose defensive tactics — for example, these would be John Madden’s Fail Mary tactics (which help prevent long passes), or Kyle Shanahan’s Minimal Gains (which help stop the run). That means you will be sent a pressure if your opponent is using a defensive tactic to stop your passing game, running game, or whatnot — if you’re focusing on passing, the pressure will be on you to run, and vice versa. Once you run a Pressure play — this will be highlighted when you’re choosing plays — you will be asked to achieve a certain goal, e.g. rush at least four yards on a rushing play, hit a 10-yard pass or greater on a Long Pass play, etc. If you achieve the goal (Pressure Passed), you’ll get credited accordingly for the number of Fantasy Points you earned through the play. If you don’t achieve it (Pressure Failed), your opponent will score the Fantasy Points, thus breaking your momentum and turning the tide of the game. 7. How Do Scoring Update Tactics Work? Most offensive and defensive tactics work by giving certain players on your team statistical buffs, with additional buffs unlocked or existing ones boosted after certain upgrades. For example, for level 6 John Madden, a Minor Fail Mary will add one point each to your defensive backs’ Zone Coverage and Pursuit stats, while a Minor Power Rush will add three points to a running back’s Tracking and one point to your receivers’ Run Blocking. However, you’ve also got Scoring Update tactics, which are available for certain Coaches. One example of this would be Smashmouth coach Doug Marrone’s Rush First Downs Tax, which allows players to score 5 Fantasy Points every time the opponent gets a first down if you’ve still got him at level 1. This “tax” could be useful in stymieing comeback attempts, so be sure to use these Scoring Update tactics from time to time if you want to throw off your opponents! 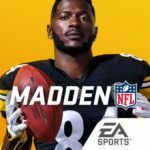 Madden NFL Overdrive comes with a wide variety of special events which run for limited periods of time or reset a given number of times per week/month. You’ve also got Daily Blitz Events, which cost Blitz tokens to play more than one time, and can reward you with packs, coins, and other goodies. 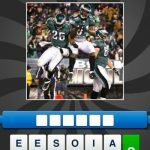 In either case, you’ll be asked to play mini-games — based on our experience, these oftentimes involve being asked to run rushing plays, with gauntlet-type challenges against multiple defensive players being quite common. We suggest playing each of the available events at least once per day, because these could earn you special currencies which you can then spend at the in-game store. There are individual areas for each special currency which you can access via the upper left menu — for example, tapping on the “24” icon will take you to the area where you can purchase badges, coins, patches, and players with the currency you won by playing the 24/7 event. You will, however, need a lot of currency to purchase some of the best players in the game! (Using the 24/7 example, you will need 250 24/7 Mics if you want to purchase Aaron Rodgers or Dominique Rodgers-Cromartie, both of whom are rated 85. Overdrive may be great for tons of rewards and lots of fun (or frustration) playing against human players from all over the world, but if you want to add a true social element to things, you can join a league or create one of your own. This allows you to play an entire season against all the other teams in your league, while also giving you a chance to win big prizes if you get to perform well! It’s highly recommended that you give this feature a try, especially since joining a league is among the constant Daily Goals, remaining there until you’re able to join one. Don’t be discouraged, though, if your league application is rejected, because you’re free to apply to multiple leagues — if you can’t get in one league, there’s always a chance that the others will let you in! And that’s all for now as far as our Madden NFL Overdrive tips and tricks are concerned. If you know more tips for this fantastic game, don’t hesitate to let us know in the comment area below!